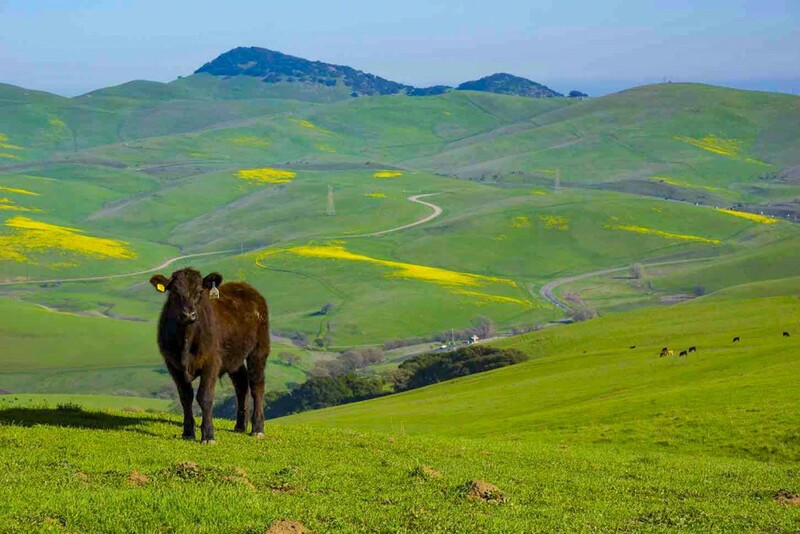 Look around the peaks and hills surrounding the Livermore, CA Valley area and most are wooded. One in particular sticks out. It is bald, adorned with grass, except for its summit – Brushy Peaks. Oak trees and green shrubs adorn only its summit, hence the name. Located just a few convenient minutes north of Interstate-580. This 1,702-foot landmark is well worth your visit whether to hike, bike, run, walk the dog, picnic, or explore nature or simply capture the view. Its strategic location among trade routes caused it to be linked to the Bay Miwoks, Northern Valley Yokuts, and most notably the Ssaoam triblelet of the Ohlone peoples. They would host trade feasts nearby. In 1772, Pedro Feges made the first European expedition here before returning to Monterey and during the California Gold Rush though the area remained sparsely inhabited. During the California Gold Rush, Brushy Peak was a favorite haven for bandits, and a favorite retreat for legendary Mexican bandit Joaquin Murietta in particular. Soon thereafter homesteads were established and the land was used for grazing. In 1900 and 1901, the San Francisco Bohemian Club held outings here for prominent local men. Beginning in 1920, the property was owned by Joseph Laughlin who established it as a farm with some of the buildings remaining today. Moving forward to the 1970’s, the local community identified the area as a potential park and that was concluded in 1997 with an agreement between the Livermore Area Recreation and Park District and the East Bay Regional Park District to make this 507-acre plot part of the Regional Park System. The following is from the Preserve’s website. “Brushy Peak Regional Preserve’s wide variety of wildlife species is supported by a similarly broad range of plant communities, among which California annual grassland is dominant. Non-native herbaceous plants and annual grasses (ryegrass, wild oats, soft chess, etc) predominate a consequence of the land’s continued cultivation in the past. Native perennial grasses (purple needlegrass, creeping wildrye, etc.) are sporadic and widely scattered; saltgrass is found in the alkali seasonal wetlands, such as in the main valley drainage within which the staging area lies. Common native wildflowers include the California buttercup, Johnny jump-up, lupine, blue-eyed grass, fiddlegrass, and many others. These and non-native wildflowers provide forage for numerous insects an important link in the food chain. The most obvious grassland wildlife species is the ground squirrel, whose burrows are inhabited by amphibians, reptiles, badgers, burrowing owls, and the San Joaquin kit fox. Squirrels and cottontails are prey to red-tailed hawks, ferruginous hawks, and golden eagles. Western meadowlarks nest and feed in the grasslands, and fill the air with beautiful song. Sandstone rock outcrops provide nest sites for a variety of raptors and rock wrens. Woodland habitats range from pure stands of coast live oak and California buckeye to intermixed habitats of valley oak, bay laurel, and sagebrush. Shrubs include poison oak, monkeyflower, gooseberry, and elderberry. The oak woodlands support deer, bobcats, rodents, and many bird species such as hummingbirds, cedar waxwings, orioles, robins, woodpeckers, and various raptors. Several spring-fed ponds, constructed by ranchers in the past, lie along the seasonally wet drainages and provide habitat for federally protected California red-legged frogs and the California tiger salamanders. I particularly enjoyed climbing the peak where you trek through the native grasses until getting to the wooded peak, and the views of nearby Mt. 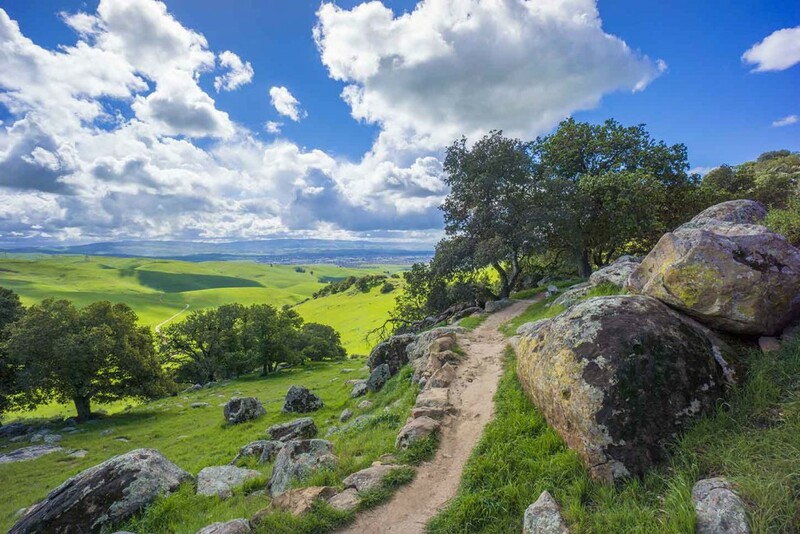 Diablo and the Livermore Valley are so peaceful and attractive – the perfect place to unwind. Brushy Peak Regional Preserve is typically not crowded and parking is free. 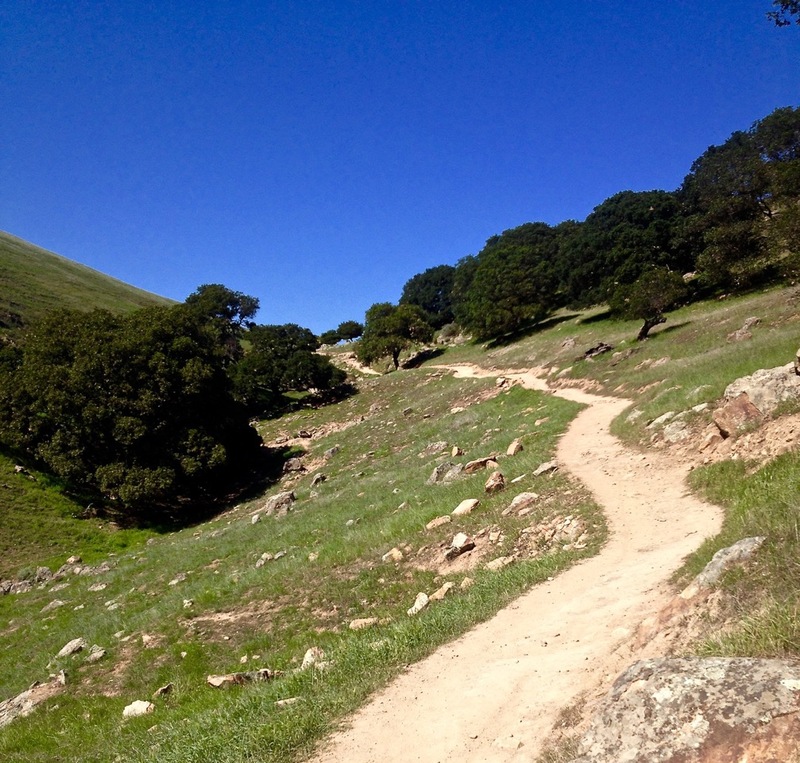 Brushy Peak is one of the area’s many hiking and getaway treats! Complete Anything in Three Simple Steps!